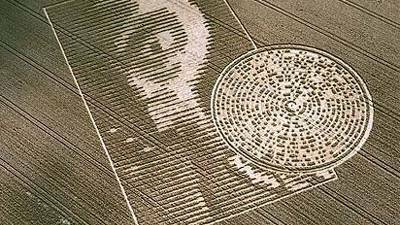 Post here any info on new crop circles and any thoughts in general, about crop circles. I tend to leave the older Topics such as crop circles, in some Boards, because I feel the info is important, even years later. Here is one site - Crop Circle Connector which has crop circles up to about October 2017 and archives. These Google Earth images are not exactly crop circles, being in the sand of the Gobi Desert and surrounding areas of China/Mongolia, but at least one is quite similar to a known crop circle - making me wonder if the actual crop circle could have been pointing us to this desert for some reason? Other ideas?